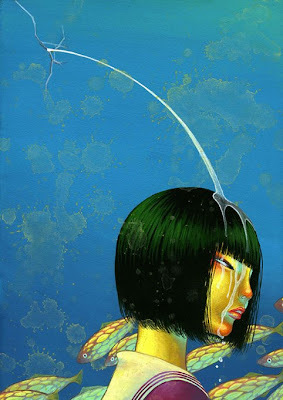 Born in 1979, Fuco Ueda (上田風子) is an artist from Japan who paints beautiful images of women in various states of surrealism. 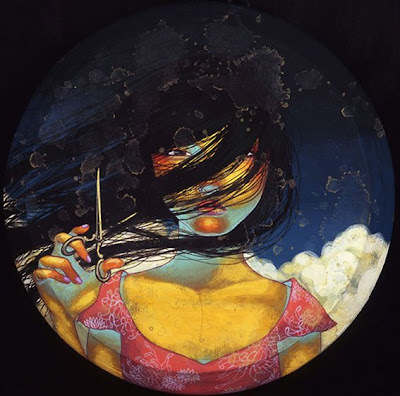 Fuco paints with acrylic and powdered mineral pigments on paper, or on cloth on wood. Her gallery of paintings dates back to as early as 1998, yet surprising, the style and quality of works remain consistent. 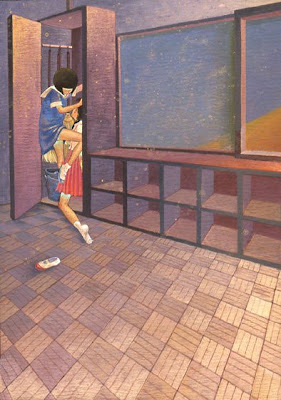 The heroines of Fuco Ueda’s paintings are often on the brink of danger. These beauties are at once victioms and agents. 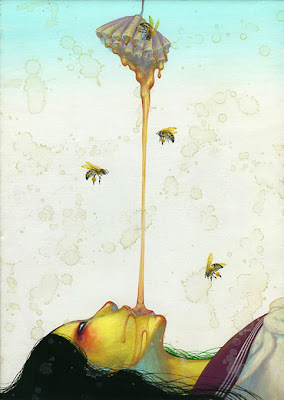 But whether the threats are self-inflicted or not, they make for fierce and beautiful narratives. 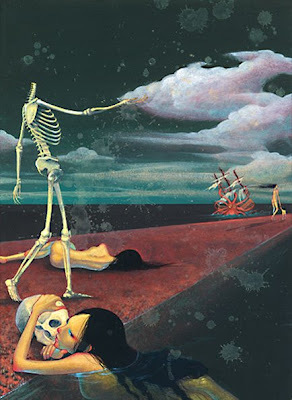 I love her works, psychedelic, surreal and strangely dark. I just loved what you did, specially with the first painting above. I think it is an expressive style and its colors are wonderful, it's a good combination between reality and fantasy. This is amazing I can see that the style is exactly what I like because it's something bizarre just look at the woman in the fourth image grabbing the skull there, that's something perfect because it has something hidden in the real sense. can i know the name of the very first drawing up there?